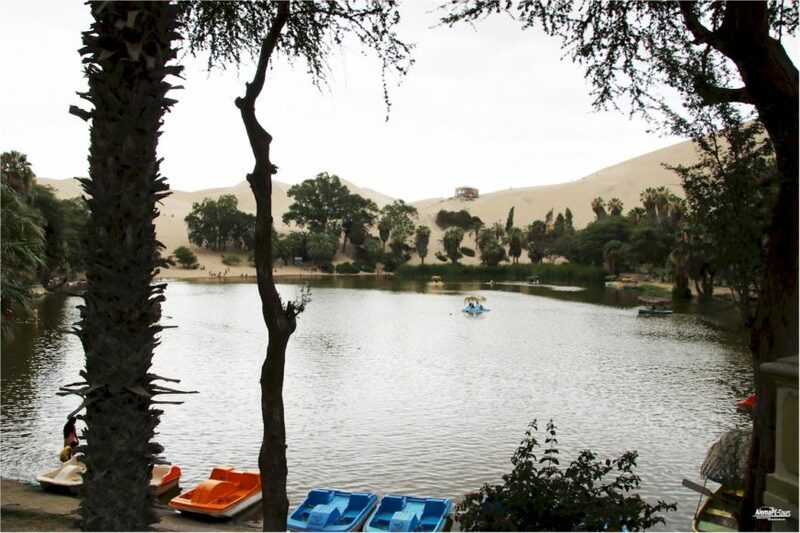 The Huacachina oasis is located in the province of Ica, which is about 4 hours drive south of Lima. 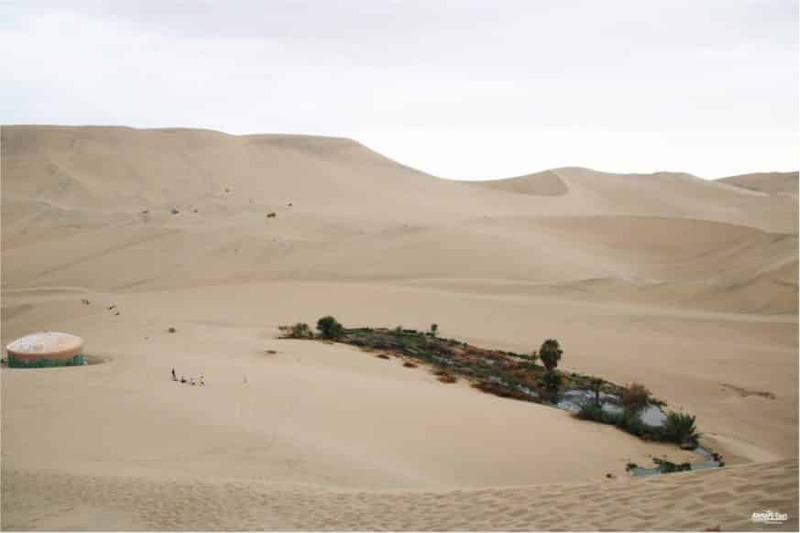 From Ica you need only a few minutes by taxi or car to arrive outside Ica in the midst of the approximately 100 m high dune mountains. 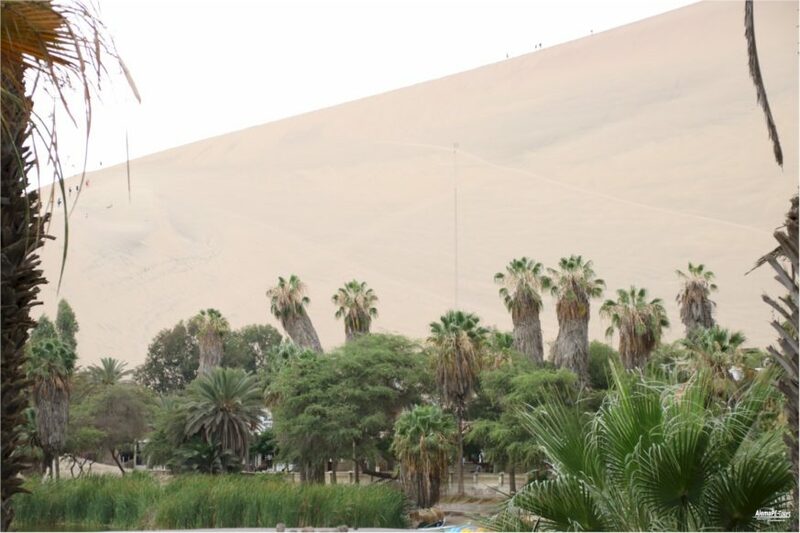 In the oasis there are various hotels and hostels that offer you according to your wishes and budget overnight stays of different categories. 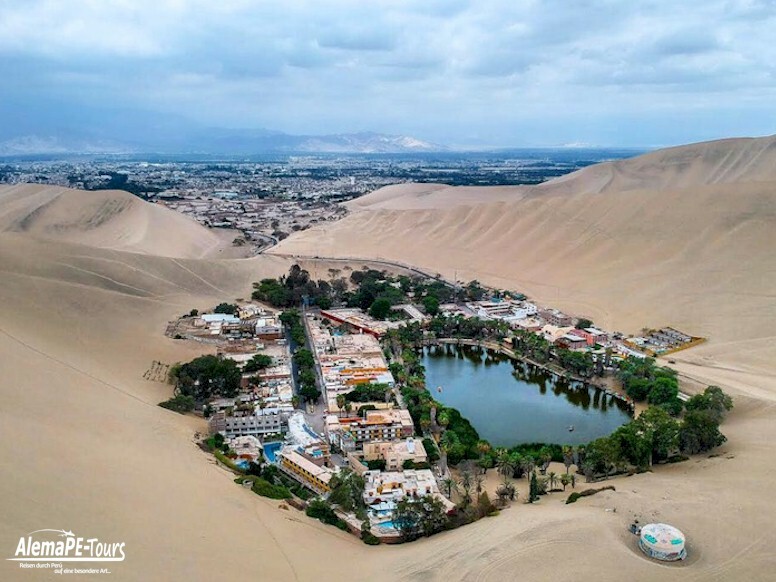 The place is one of Peru’s special tourist attractions because of its well-known oasis (Laguna de Huacachina) and the surrounding dune mountains, which is also used by many Peruvians for weekend trips. 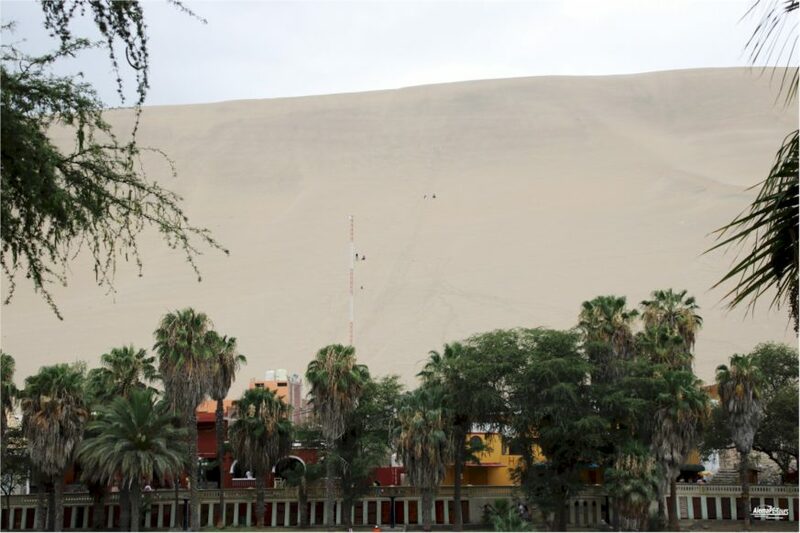 The dune mountains, with their height of about 100 meters, are also among the largest tourist dunes in Perú. The Laguensee is fed by a mineral-containing underground river. 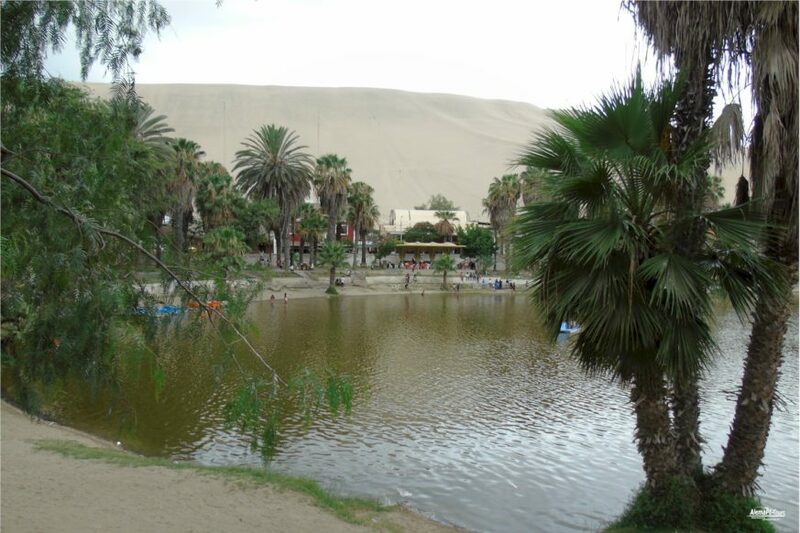 Thus, the lagoon was used in the beginning of the tourist era as a kind of spa for rheumatism. The water level has been steadily decreasing in recent years and the lagoon is visibly becoming more and more degenerated. For example, the responsible local people have to think more and more about how they can continue to maintain this attractive tourist destination while meaningfully limiting the amount of water removed from the surrounding plantations. 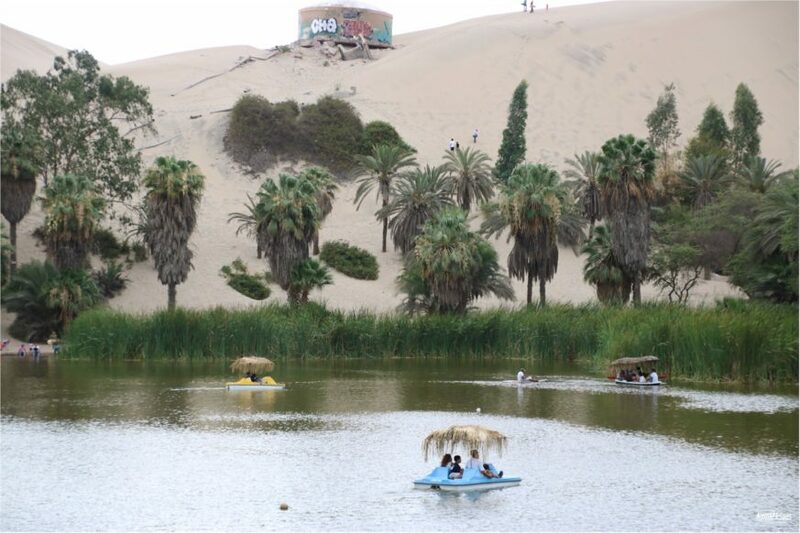 To save this little paradise from dehydration, water from other sources is repeatedly pumped into the lagoon at the decision of the government of Ica. You can experience a few more or less quiet and relaxing or active days at any time throughout the year. 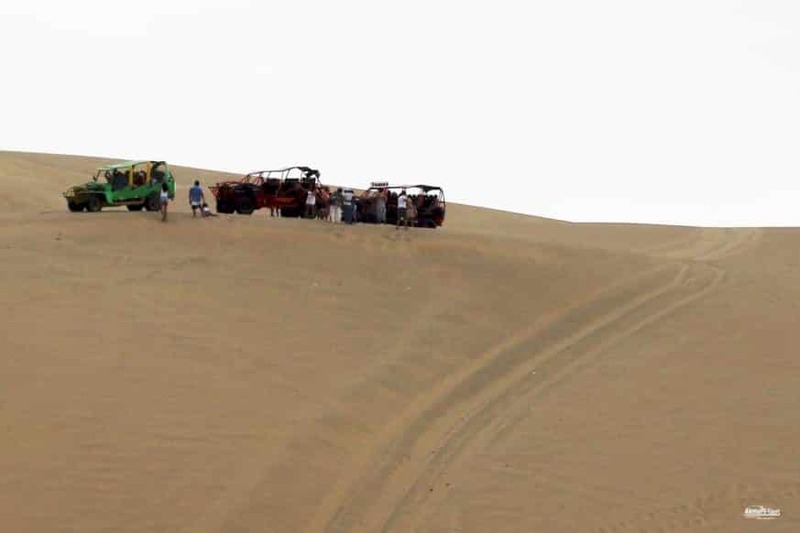 Sun rides on dunebuggies and sandboarding in the dunes are held throughout the day. The approximately half an hour tours can be booked directly on site. 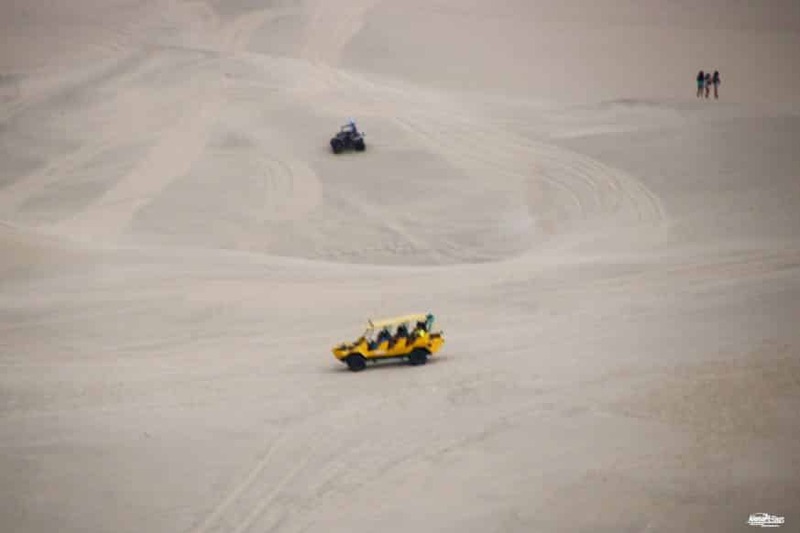 Nazca Airport, located nearby, can organize raid flights over the Nazca Lines and Islas Ballestas, located in Paracas. Thus, in addition to the evening discotheque and restaurant visits during the day for enough fun. 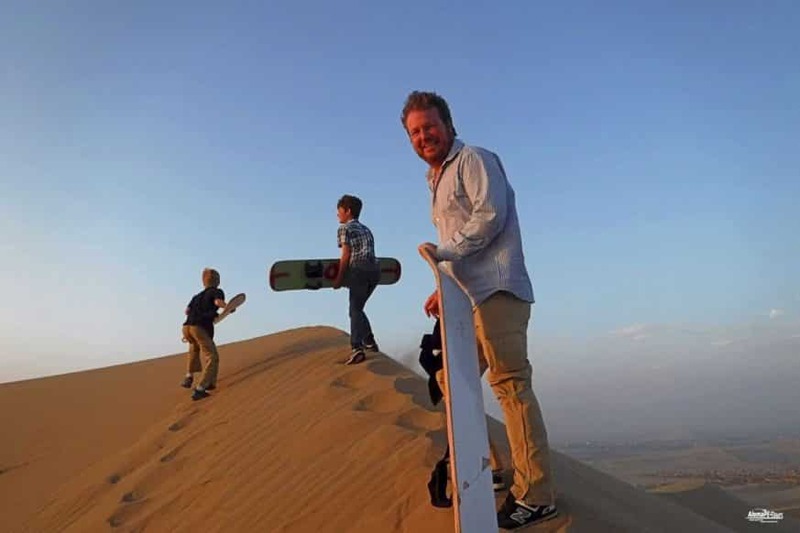 Dune walks are also the first ideas, you will certainly have at first sight of the dune mountains. But then it will be serious. 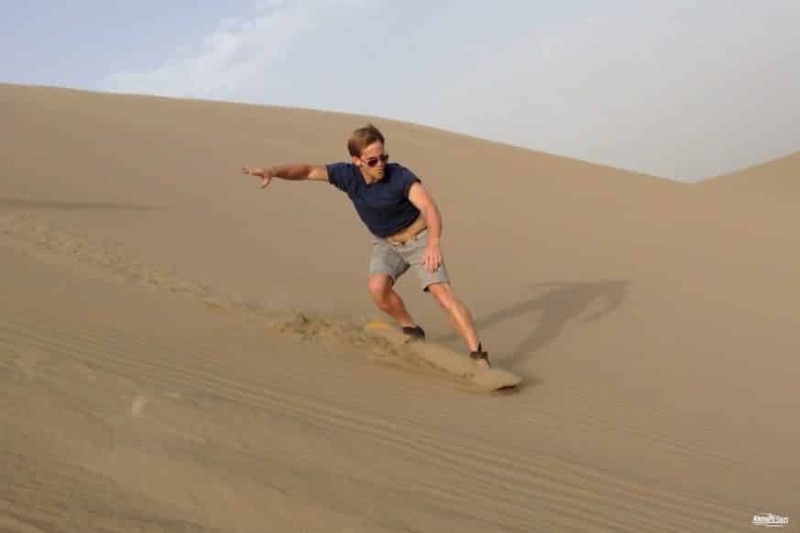 To climb the approximately 100-meter-high sand dunes on foot you need a while, because the sand just keeps rolling down under your feet. The fact that this can go to the substance, the one or other visitors then noticed soon. Above all, you should always take a small bottle of water with you when you are traveling in the dune / desert environment. 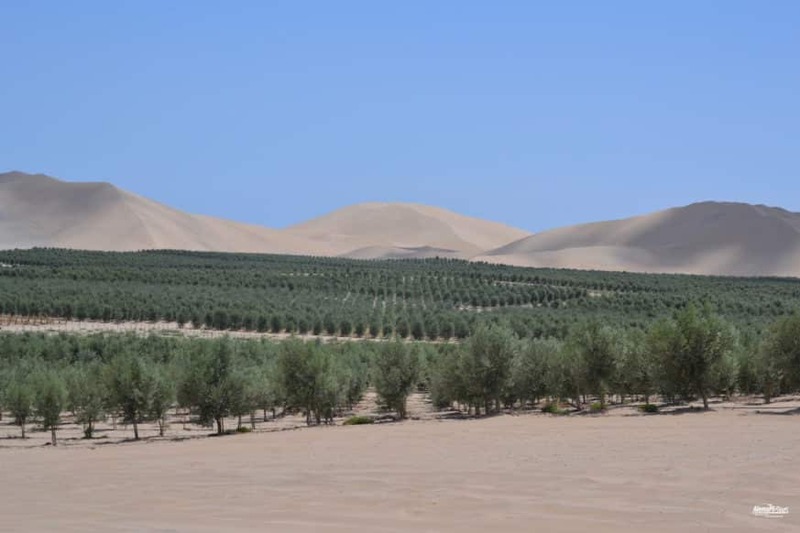 You will be compensated by the fact that you have a great overview of the entire oasis and a part of the surrounding area. The sunsets in their deep red hue are also an imposing affair at this point. 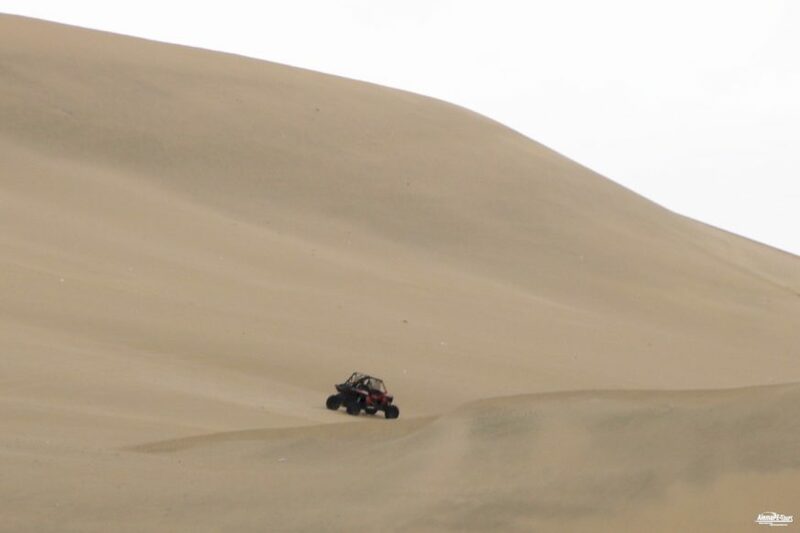 Further trips through the dune mountains make you better with the desert buggy. 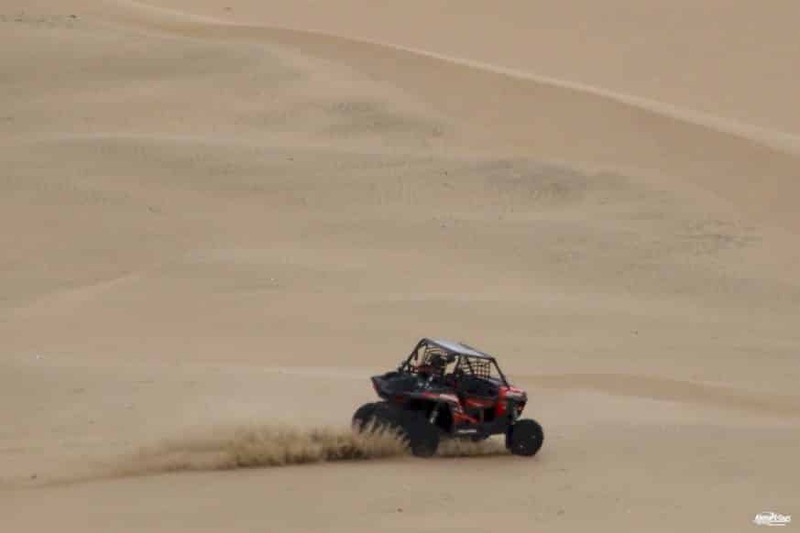 Equipped with tuned engines, roll bars and voluminous tractor-like off-road tires, you are then driven through and over the dune mountains, until it gets dizzy for the first passengers and then quite soon has a sandy taste in the mouth. 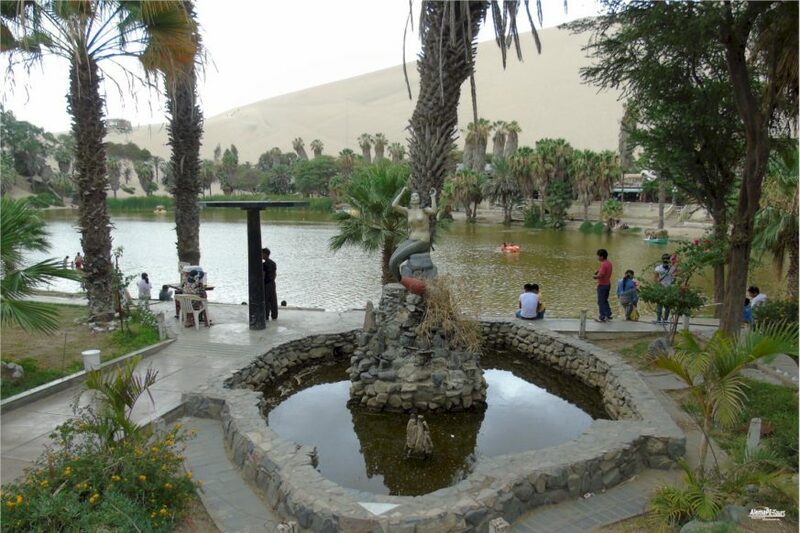 The Huacachina oasis is located in the province of Ica, which is about 4 hours drive south of Lima.